The Evidence Room, by Anne Bordeleau, Sascha Hastings, Donald McKay, and Robert Jan van Pelt, has opened as part of “Reporting from the Front,” the central group exhibition of the 15th International Architecture Exhibition – La Biennale di Venezia, curated by its Artistic Director, Alejandro Aravena. In 2000, a libel suit argued before the Royal Courts of Justice in London, England successfully challenged the false assertion by a revisionist historian and Holocaust denier that there had been no gas chambers in Auschwitz and that therefore the Holocaust didn’t happen. Central to the proceedings were the forensic interpretation of the architectural evidence of Auschwitz and the expert witness testimony by Robert Jan van Pelt, an architecture professor at the University of Waterloo in Canada. His interpretation and his testimony about the design and operation of those buildings as a killing facility were integral to winning the case and to asserting the truth of the Holocaust – the defining crime of the twentieth century. Van Pelt’s report – published as The Case for Auschwitz – became one of the sources of inspiration for a new discipline located at the intersection of architecture, technology, history, law and human rights: architectural forensics. On invitation of Alejandro Aravena, he joins with Professors Anne Bordeleau and Donald McKay, independent arts producer Sascha Hastings, and a team of students and consultants from The University of Waterloo School of Architecture to present this material in The Evidence Room. 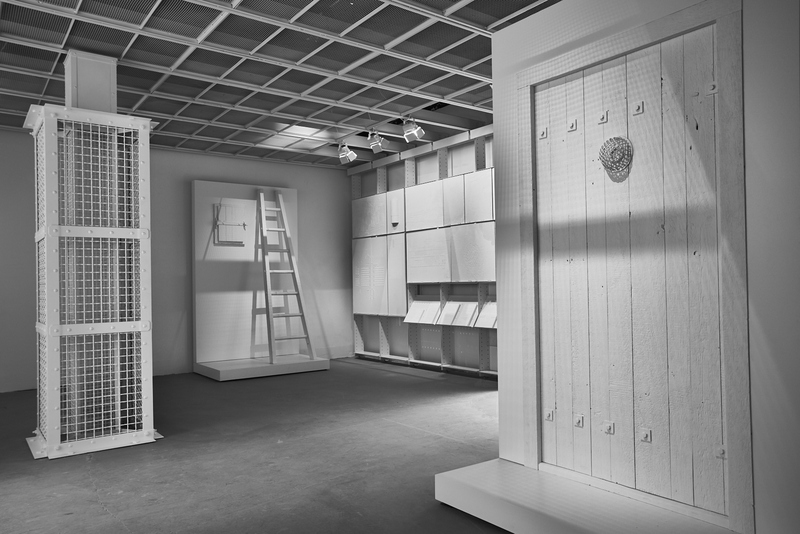 The Evidence Room consists of life-size replicas and casts of key pieces of architectural evidence (a gas column and a gastight hatch – both for the introduction of Zyklon-B into the gas chambers – a gastight door, blueprints, architects’ letters, contractors’ bills and photographs). Taken together, these pieces of material evidence substantiate the post-war testimonies of both survivors and perpetrators and prove, beyond reasonable doubt, that Auschwitz was a purposefully designed factory of death, equipped with large, homicidal gas chambers and massive incinerators, in which over a million people, 90 per cent of whom were Jewish, were murdered. 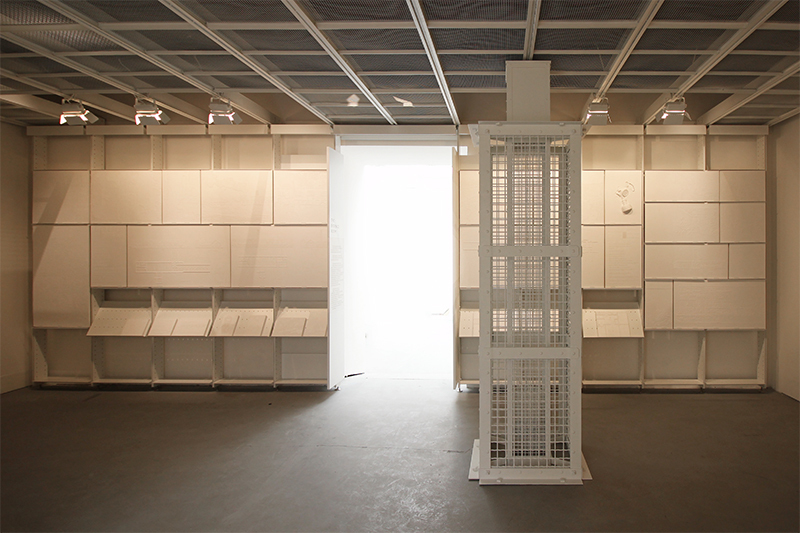 The Evidence Room, as an installation, offers a tangible summary of an exhaustive body of work. It also calls attention to the biggest crime ever committed by architects. The Evidence Room is open to the public at the Central Pavilion of the 15th International Architecture Exhibition – La Biennale di Venezia from May 28 to November 27, 2016. 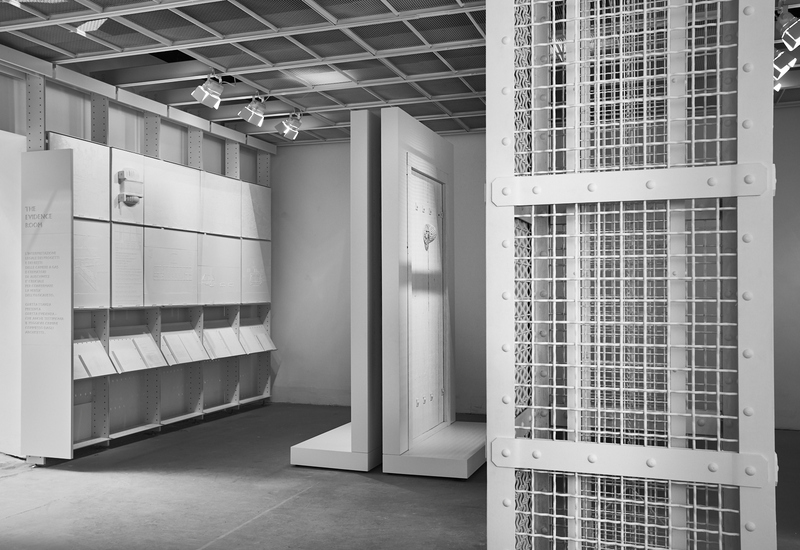 A book, also called The Evidence Room, is available at La Biennale di Venezia’s bookstore, online, and from New Jewish Press of Toronto, Canada (www.newjewishpress.ca). Interior perspective of The Evidence Room with models of Auschwitz gas column, gas hatch and gastight door. Photo by Siobhan Allman. Interior perspective of The Evidence Room with model of Auschwitz gas column. Photo by Siobhan Allman. 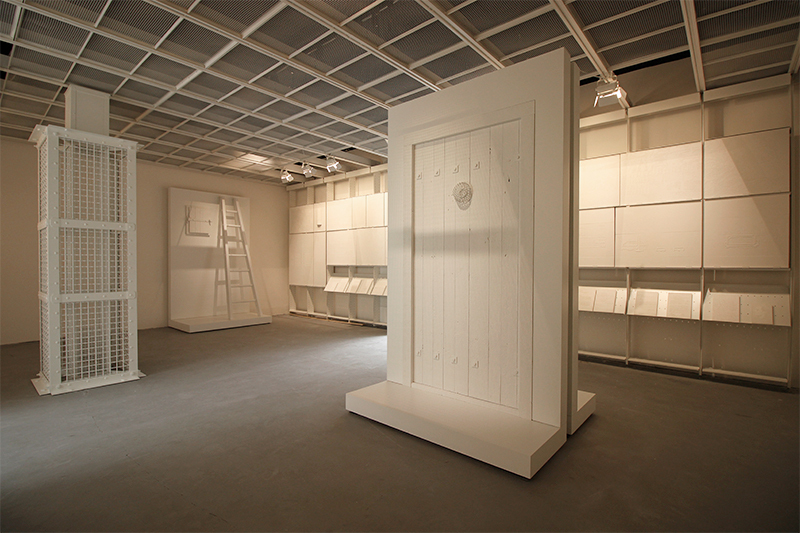 Interior perspective of The Evidence Room with plaster casts and models of gastight door and Auschwitz gas column. Photo by Fred Hunsberger. 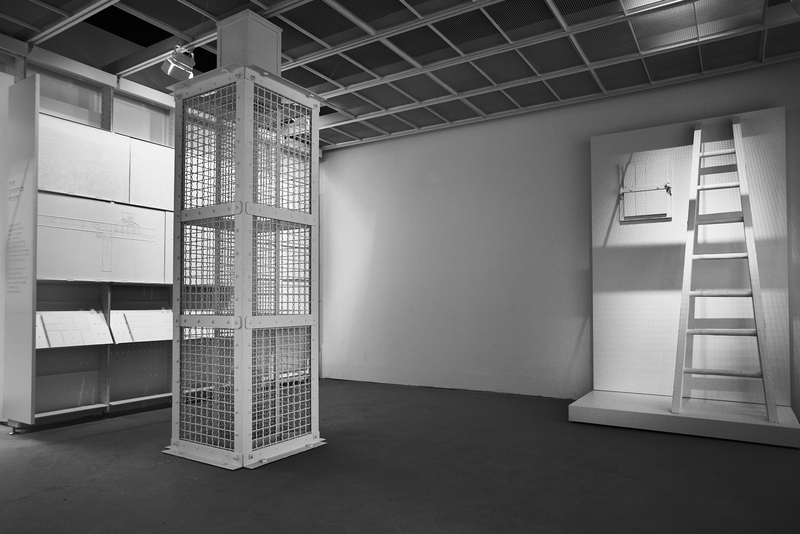 Interior perspective of The Evidence Room with plaster casts and models of Auschwitz gas column and gastight hatch. Photo by Fred Hunsberger.